As small firm architects, we’re working so hard to get everything done. Between the many hours we dedicate to building our firms and the time spent fostering strong relationships, there isn’t time for much else. Each week offers us 168 hours, no more and no less. Half of those hours are reserved for sleeping, eating and hygiene. What we choose to do with the remaining 84 hours will determine whether we succeed or fail. How do you use your 84 hours a week? Mark recently looked at his own habits, and was shocked to realize he was spending more than two hours per day sorting, managing and responding to email messages. That’s time away from building his business and being with his family. 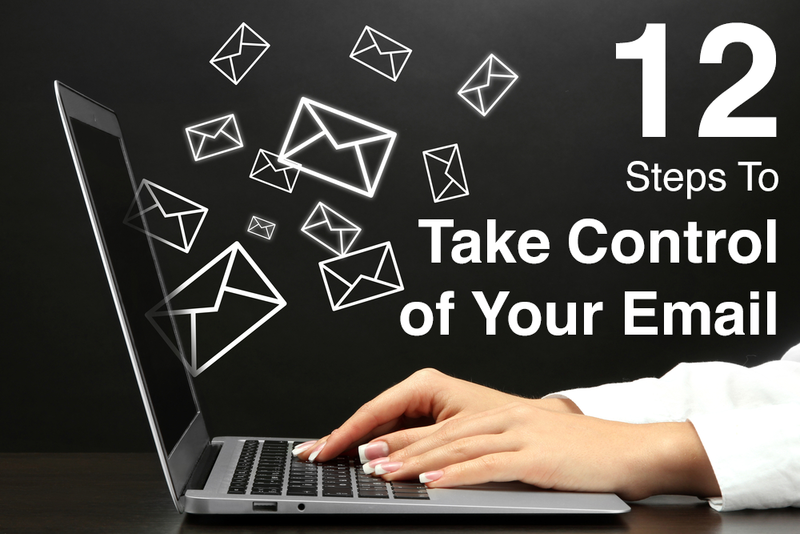 This week on EntreArchitect Podcast, 12 Steps to Take Control of Your Email. All the bells anId whistles that pop up? Turn them off. You don’t need them. Instead, schedule times in the day to check your email or social media. More than 90% of Mark’s email is unwanted junk and solicitations. If you get 100 emails and 90 of them are garbage, help yourself get to the 10 emails that actually matter. If you don’t read it anymore, delete it. Is there a possibility to miss out on something? Sure, but if you’re not reading it anyway, you’re not missing out on anything. Schedule specific times every day to review your email. Instead of using minute-by-minute notifications, you’ll be better disciplined. It’s hard to not pick up your phone and hit the email button, so reestablish new habits to find time to look at your email. These are the four rules to processing any task list. If the email will take you less than 2 minutes, do it right then. If it can be forwarded and handled by someone else on your team, then delegate it. If it requires your attention and will take more than 2 minutes, move it to your task manager to be addressed during your scheduled email time. If it’s useless junk, delete it. 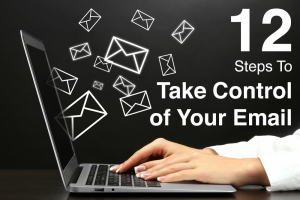 Don’t waste your precious 84 hours composing long email messages. Instead of going back and forth over email, pick up the phone and have a conversation. This way, the issue will be resolved much faster, and you can get back to what’s most important. Formal reports and letters should be formal. Write and formalize letters for important information. There are apps that are so much more efficient than email like Asana, Trello, or Slack. They allow simple search function to find communication. Instead of using email to send yourself a task, find a reminder app. Mark uses Wunderlist to manage his tasks. Let someone else manage your email. Imagine opening your email and finding five messages that really require your attention. By letting someone else go through steps 1-10, you’ll have so much time to do other things. You’re not obligated to respond to your clients after business hours and on the weekends unless you choose that. Set expectation with your teams and clients, and you’ll live happier within those boundaries. 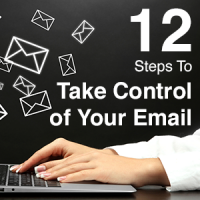 What are your tips for taking control of your email?